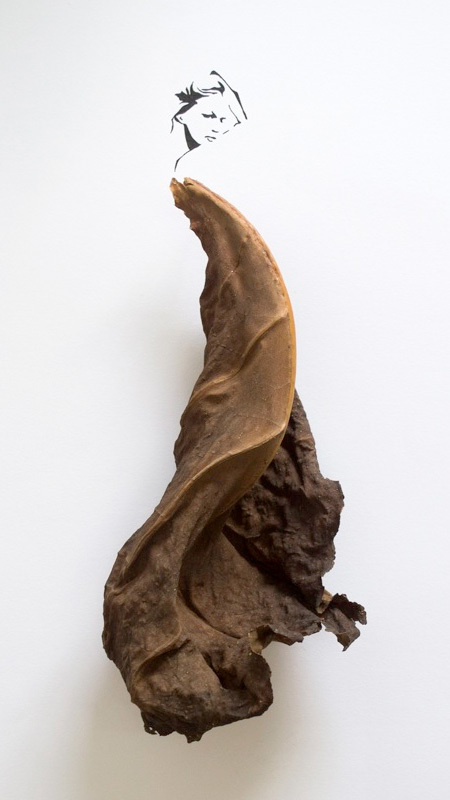 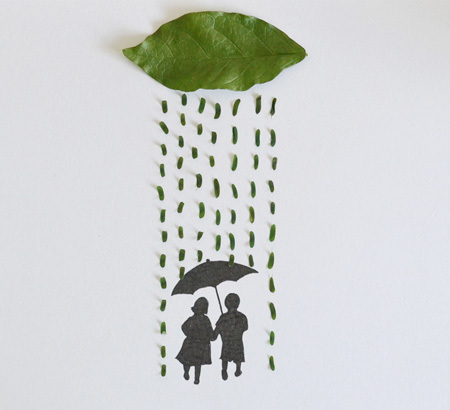 What do you think about fallen leaves? 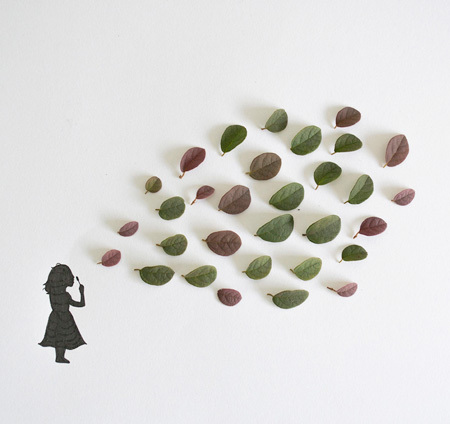 Do you like this time when around you is a lot these beautiful and an amazing leaves??? 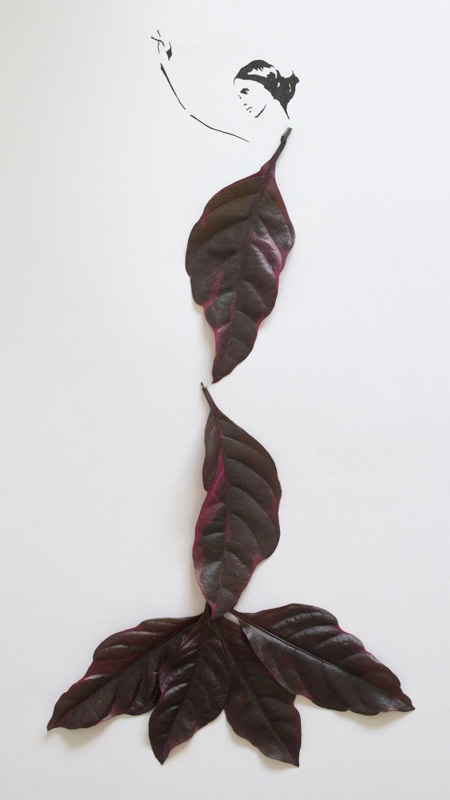 And did you use these leaves when you were a kid or right now to anything? 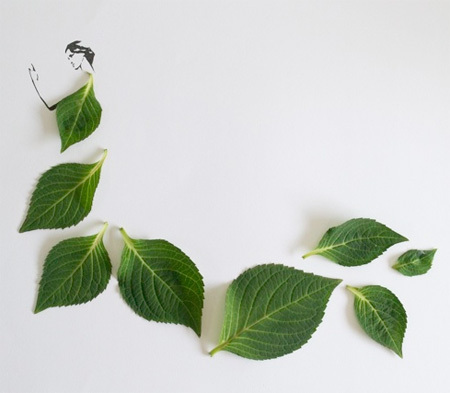 You know that I love show you wonderful artists from the whole world and now we back to Malaysia. 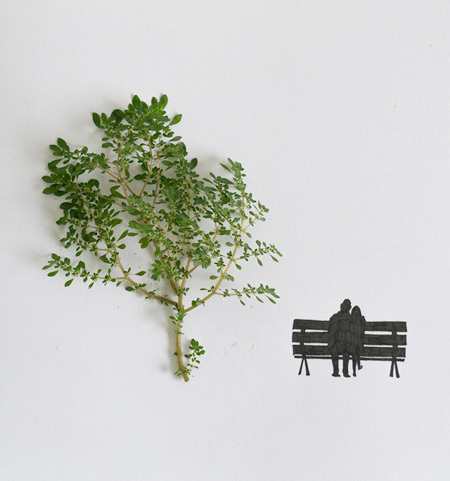 Tang Chiew is graphic designer from this incredible country. 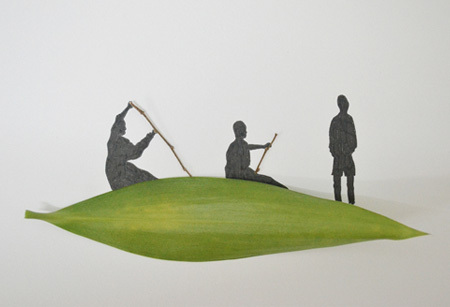 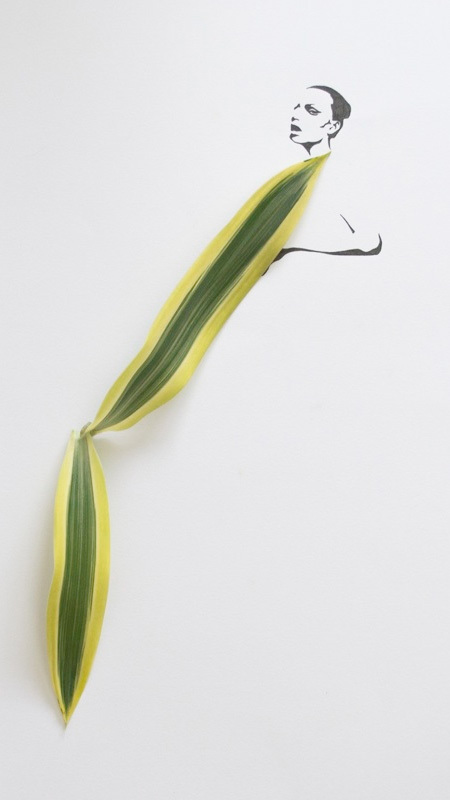 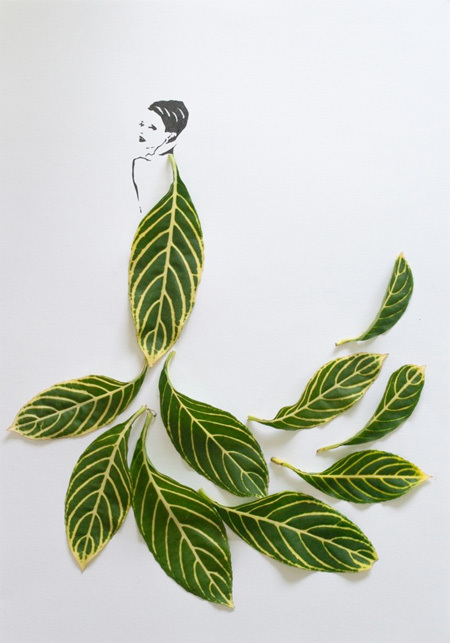 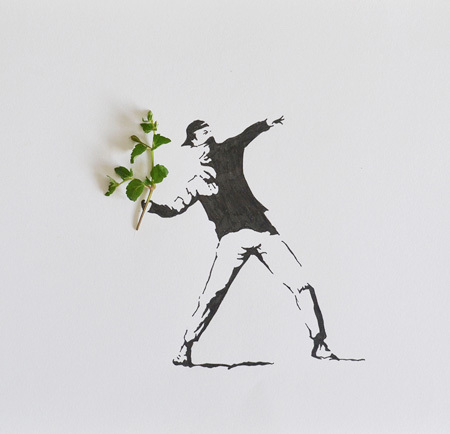 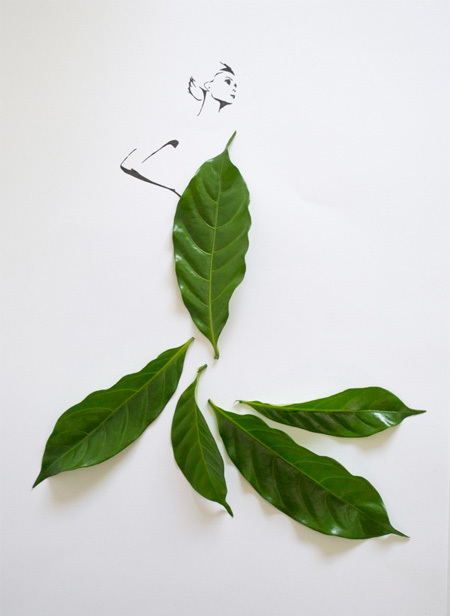 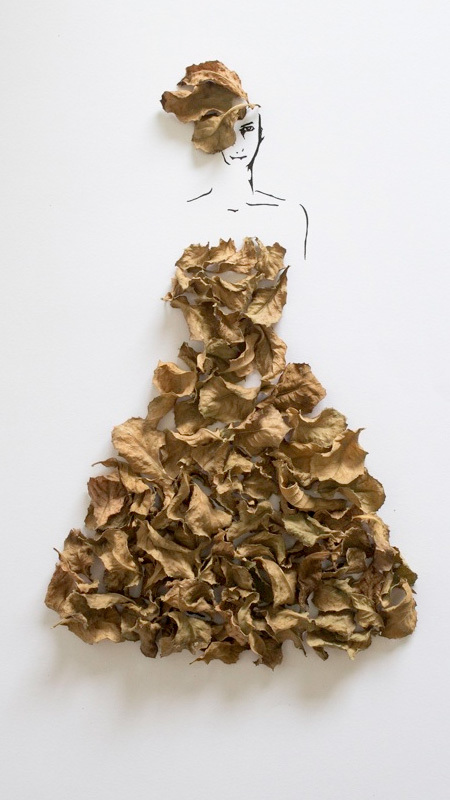 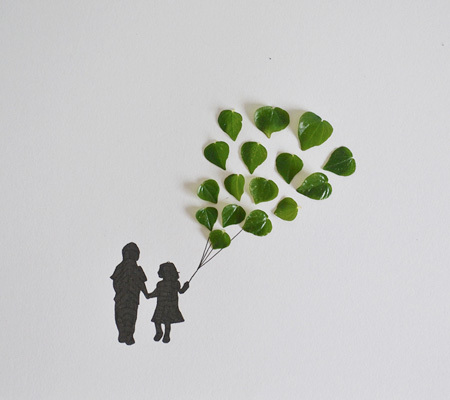 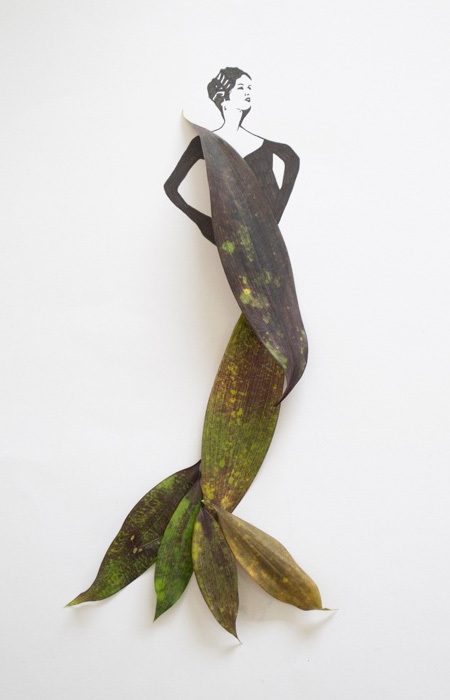 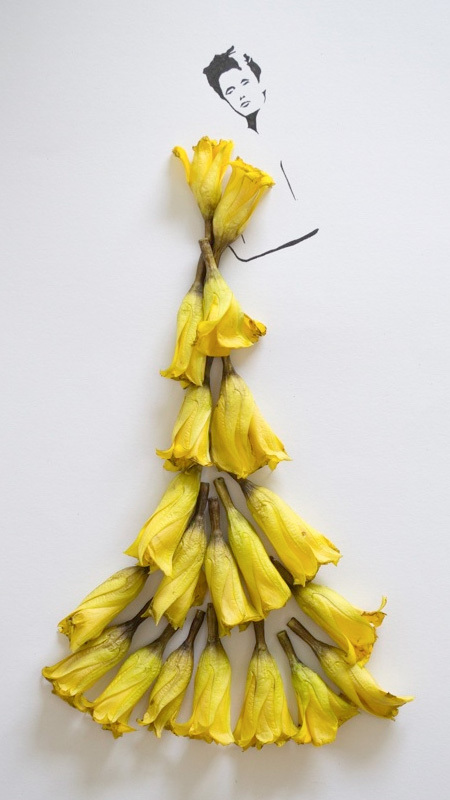 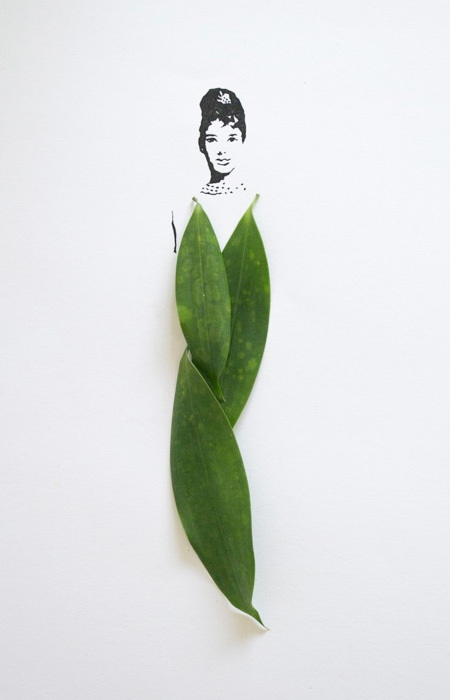 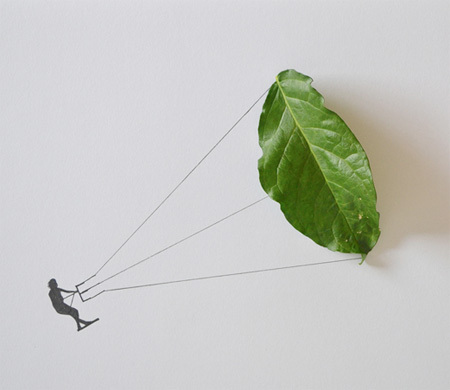 He combinated real leaves with drawings of fashion models, objecy and regular people.